Reward yourself with more money, more savings and more time. 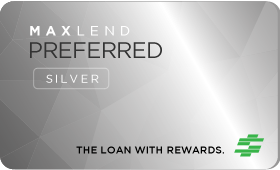 To become part of MaxLend Preferred, apply for a loan here or call 1-877-936-4336. To progress through the levels, pay your loan in full with no late payments and return to MaxLend for your future borrowing needs. 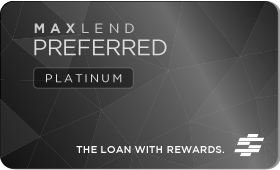 How do I become a member of MaxLend Preferred? 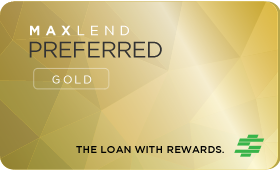 When your first loan is approved, you automatically become part of MaxLend Preferred. If you are a returning customer, you can login to your account to see your level. How do I advance levels? 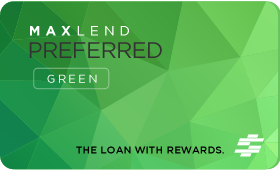 The basics: To move up in MaxLend Preferred, always pay each loan in full with no missing or overdue payments. It is that simple. Green: You become part of the Green Level when we approve your first loan application. Silver: Pay off your first loan and successfully finish 1 additional loan to reach Silver Level. Gold: Successfully finish 1 loan at Silver Level to progress to Gold. Platinum: Complete 1 Gold Level loan successfully to reach Platinum Level. Call us now at 1-877-936-4336. Our customer service representatives are ready to help 24 hours a day. Not all customers will qualify for the maximum amount and approval is not guaranteed. If approved, funds may be available as soon as today. * Fees are calculated based on a typical bi-weekly payment schedule for the maximum loan term.